I love old well-made tools. 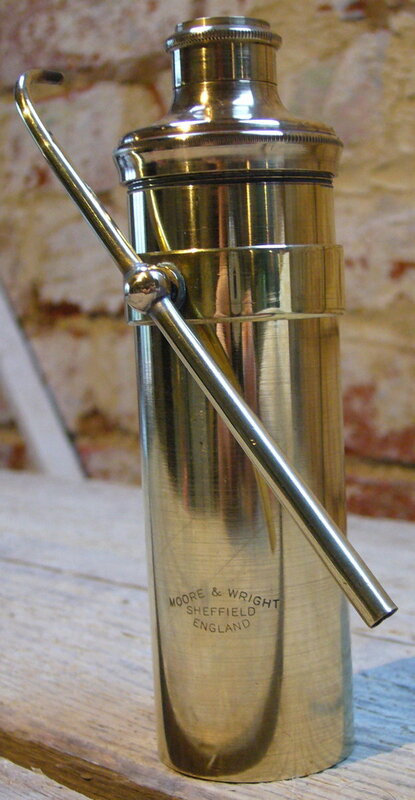 Recently I picked up a vintage Moore & Wright spirit blowpipe (I thought they only made measuring tools!). 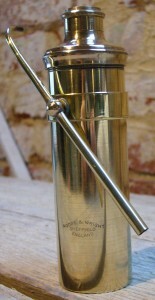 It’s a very nicely made brass wick burner with a pipe that allows you to blow a stream of air across the flame. This creates a very hot, concentrated flame that can be used for hard soldering. I may not actually use it in concertina production (I have several modern gas torches than are more convenient and powerful), but I thought readers might be interested to see it. I haven’t quite got the hang of it yet; it’s much trickier to use than a gas torch. It also doesn’t seem to produce much heat. I suspect it would work much better on a jeweller’s charcoal soldering block because then any excess oxygen in the stream would make the charcoal burn and generate extra heat. I tried it with a piece of ordinary barbecue charcoal but it crackled and spat sparks at my face so I quickly gave up! I also suspect the meths I’m using may be too dilute to produce a really hot flame. Here’s a video of me experimenting with it. As you can see the brass got hot enough to anneal it but I doubt it was hot enough for silver soldering. Update: I spent a while this afternoon practising with the blowpipe and successfully made several silver-soldered brass joints on the refractory brick in the video above. The key seems to be to blow very lightly and consistently (using circular breathing technique) in subdued lighting so you can see the parts of the flame clearly, and at all costs don’t let the blue inner cone dwell on the work. It is far colder than the outer flame. It also helped to push out a bit more wick to get a slightly larger flame. The job took longer than it would have with a cheap butane gas pencil torch, but I got there in the end.